After 10 years of European funding, 350 students and 65 countries, applications for the Advanced Masters in Structural Analysis of Monuments and Historical Constructions are opened up to 20 January 2018. 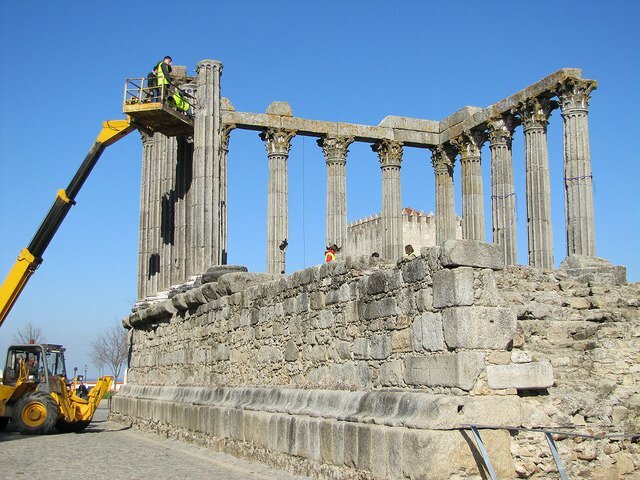 This international course on the conservation of heritage structures was the winner of the 2017 European Union Prize for Cultural Heritage “Europa Nostra”, and presents a unique opportunity to meet people from all over the world. This Masters Course, which is running its 11th Edition, is organized by a consortium of leading European Universities/Research Institutions in the field, including the University of Minho (coordinating institution, Portugal), the Technical University of Catalonia (Spain), the Czech Technical University in Prague (Czech Republic), the University of Padua (Italy) and the Institute of Theoretical and Applied Mechanics of the Czech Academy of Sciences(Czech Republic). Please find full details on the MSc programme, as well as the electronic application procedure, at the course website. The Masters Course has duration of one academic year and is held on a rotating basis among partners, so each student follows coursework in one partner institution and dissertation in another one. The language of instruction and examinations is English. The degree awarded is a Master’s degree, provided as a double degree from the institutions involved. APPLICATIONS for the 2018/2019 academic year are now open.